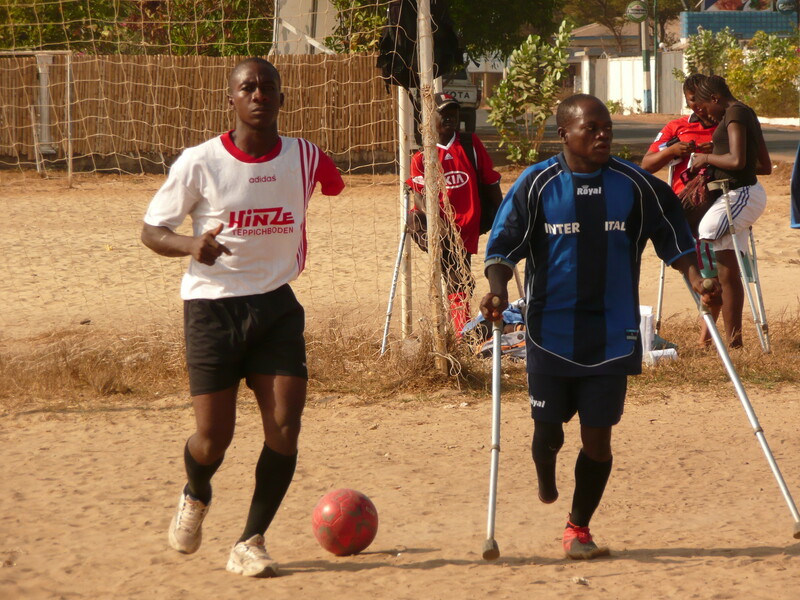 This site has the latest news and information about the Salone Flying Stars Amputee Football Club in Freetown, Sierra Leone. We’re training and looking for all help in not only maintaining Flying Stars but helping all amputees throughout the country. Please check back in the coming weeks for new announcements. May 12 2016 at the Gladstone hotel in Toronto. If you’re in the area come by for food, music, a photography exhibit and much more – and of course to help out the Flying Stars in our on-going goal to create ways for our team members to support themselves financially. Your help and support is needed and deeply appreciated! Please check out our News page for more information. Thanks to the help of the Irish Embassy in Sierra Leone we’ve been able to get our training program started! WE have a lot more we need to do to keep this going but it’s a great start. Please go to our News page for more photos and information. The Flying Stars documentary film – UPDATE! We are proud to announce that directors Ngardy Conteh George and Allan Tong’s film about the Salone Flying Stars will get it’s “hometown premiere” at the Toronto Black film Festival on February 12th 2016 at the Carlton Theater. The movie previously had its world premiere at the Montreal International Documentary Festival in 2014 and received its U.S. premiere at the New York African Film Festival (http://www.africanfilmny.org/) on May 16th 2015. The film was recently named Best Documentary at Atlanta’s Bronzelens Film Festival (Bronzelens Film Festival). 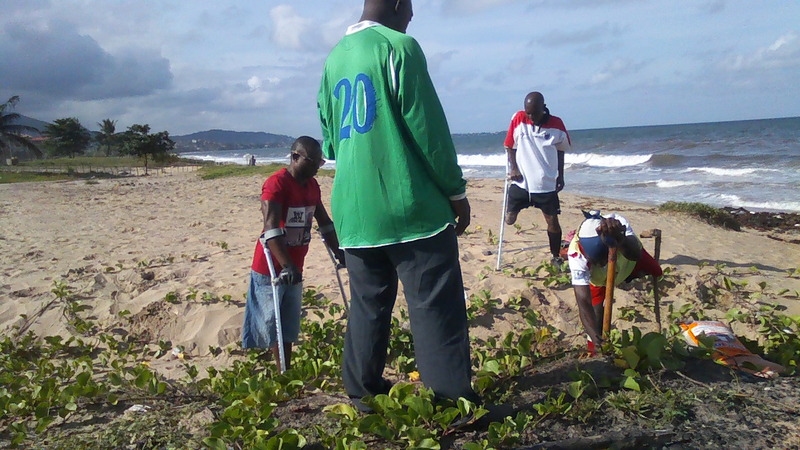 Due to the Ebola crisis and the rainy season our regular pitch is in need of a lot of work. We finally got out to start cleaning it up. For more pictures check out our News page.